Butterscotch mixed drinks can make almost anyone smile. 1 What Is Good to Mix With Chocolate Vodka? Butterscotch's creamy, sweet goodness can be found in both butterscotch liqueur and butterscotch schnapps. The two liquors, which are interchangeable in recipes, give cocktails butterscotch's signature brown sugar and butter flavors. You can mix with either one to create drinks that have that special butterscotch taste. Butterscotch liqueur and schnapps belong to a small group of liquors that actually mix well with milk. One of the simplest mixed drinks is the buttermilk, which is a shot of butterscotch liquor top with milk -- add ice to the mix for a Nagel nectar cocktail. If you're feeling more adventurous, mix one part each butterscotch liquor and Irish cream with two parts milk with crushed ice for a buttercream drink, or mix equal parts butterscotch liquor and amaretto liqueur on ice and top with milk for leFreak cocktail. Taking a cue from the wonderful pairing of butterscotch syrup and ice cream on a sundae, butterscotch liquors blend well with different flavors of ice cream. The easiest frozen drink is the butter delight, which is equal parts butterscotch liquor and vanilla ice cream; substitute mint chocolate chip ice cream for a buttermint delight. 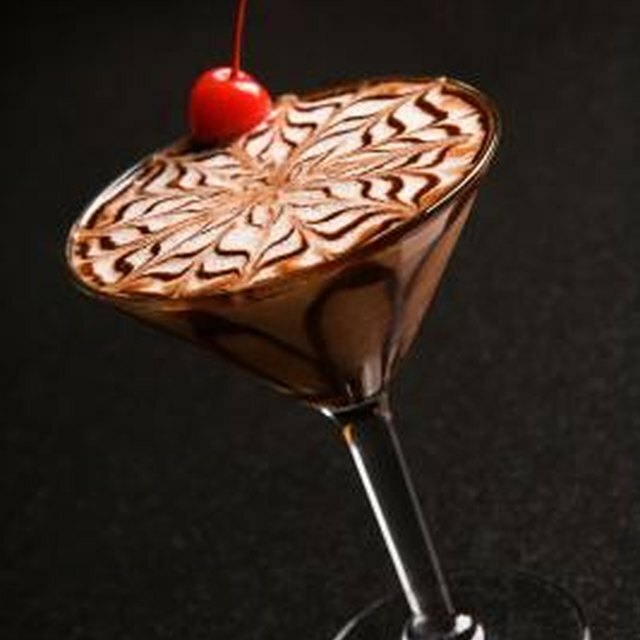 If you want a little more in your milkshake, try the caramel "j" frozen cocktail -- blend two parts each butterscotch liquor and dark creme de cacao, one part hazelnut liqueur, two parts vanilla ice cream, a banana and a splash of milk. Butterscotch liquors aren't only meant for dairy -- the liquors' buttery sweetness and hints of salt also go well with sodas. For more of a butterscotch candy taste, pour a shot of butterscotch liquor on ice and top with lemon-lime soda for a cotton candy cocktail, or mix one part each butterscotch liquor and lemon-lime soda and two parts orange juice for a seduction on the rocks. The liquor also pairs well with regular cola in the caramel cola drink, which is cola on the rocks topped with a shot of butterscotch liquor. Mixing butterscotch liquor and hot chocolate is like a marriage made in tipsy heaven -- the heavy sweetness and trace saltiness play off, and with, one another. Add a shot of butterscotch liqueur to a cup of hot chocolate and top with whipped cream for a hopscotch, or skip the whipped cream and add a splash of Irish cream for a hot chocolate butterscotch. For those who like to live on the edge of the sickeningly sweet, mix two parts butterscotch liquor, one part each of Irish cream and chocolate liqueur and six parts hot chocolate for a hot and bothered.